On Tuesday 25th March 2014, members of the East Cleveland Walsingham Cell gathered together at St Leonard’s Parish Church Loftus, for a Prayer Book High Mass with Sermon, to mark the Feast of the Annunciation of Our Lady. The Cell was also pleased to welcome The Revd Canon Angela Bailey, the new Diocesan Lay Development Adviser and Training Adviser for the Cleveland Archdeaconry. 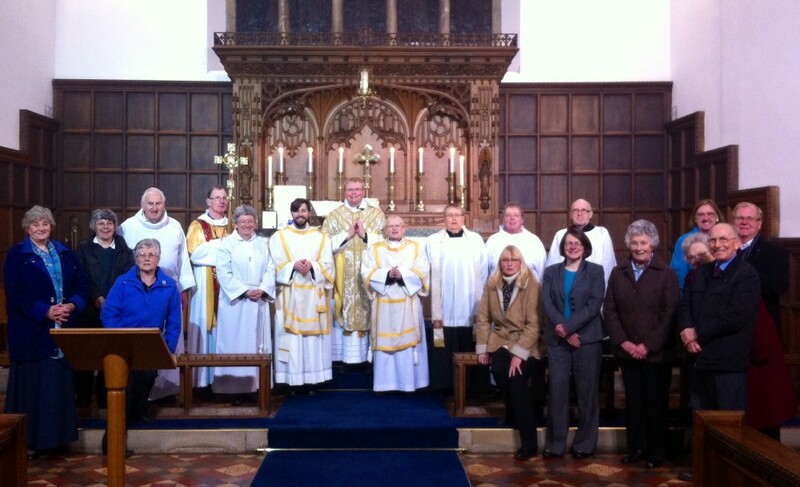 The High Mass also celebrated and marked the first anniversary of the East Cleveland Walsingham Cell. The East Cleveland Walsingham Cell has grown in numbers during the past twelve months and is now attracting members from across the Deanery of Guisborough. The next Walsingham Cell Service will take place on Tuesday 29th April 2014 (St Mark’s Day) at St Margaret’s Parish Church Brotton. All are welcome.